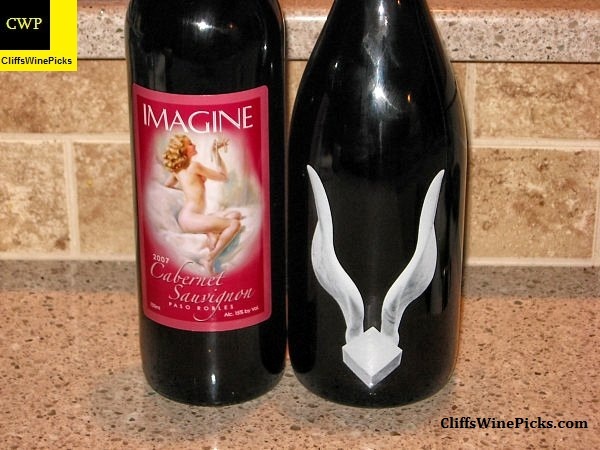 This is from an extra special online WineChat celebrating the release of a very limited wine, the 2007 Imagine Wine Syrah Winged Paradise Mountain Vineyard. The wine was aged in oak for 6 years. Ross Rankin, the owner, says the wine “is unique and one of a kind” in today’s “sell it quick” market.” The Syrah retails for $80 and only 246 cases were made. This was a large scaled event with three prongs. The first part was an in house tasting with food, music, dancing, and of course wine. The second part of the release party was a Skype conference with Ross Ranking. I participated in the third portion of the release party, and online #winechat tasting. Imagine Wine is a true boutique winery producing aromatic and delicious wines in the beautiful Santa Ynez Valley, near Santa Barbara, California. Our wines are hand crafted by our winemaker, Ross Jay Rankin. He entered the industry in the late 1990’s and early on he produced in a facility affectionately known by its many excellent winemakers as the “Lompoc Wine Ghetto.” In 2008 he moved his craft to the “state-of-the-art” facility, Terravant, in Buellton. Ross sources extraordinary grapes from the renowned vineyards of the California central coast. 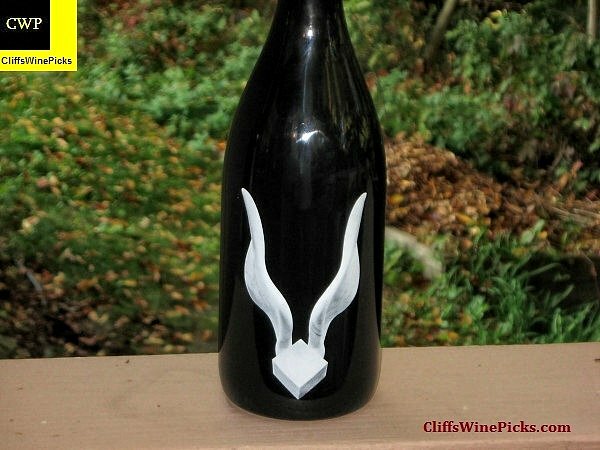 His signature Paradise Mountain Syrah and Viognier are made exclusively from the highly sought after grapes of a unique vineyard in the eastern hills of Santa Barbara County. Begun in 2004, Imagine Wine now has a complement of fine, limited production wines to suit any wine lovers’ tastes. Our Tasting Room and Art Gallery opened in Fall 2009 in Santa Ynez where our followers may discuss winemaking (or the world’s dilemmas) with Ross or his wife, LynDee, over sips of Imagine Wine. Much more information on the winery and their wines is available by clicking here. The winery is also on Facebook and Twitter. #winechat is a weekly, Twitter based discussion about something dealing with the world of wine. Generally, each week’s chat deals with a specific theme and is lead by an “expert” in that area. This is generally a nice way to learn about a region, winery, type of wine, etc. Click here for the current #winechat schedule. This wine was supplied to “babysit” those of us who may have wanted to jump the gun and partake in the Winged Syrah before the official start of the event. This is 100% Syrah that was aged 65 months in 30% to 40% new oak: 70% French, 25% Hungarian, and 5% American. The wine has 16.0% alcohol and the bottle is sealed with a natural cork. This was much more than a novelty act; this was a top notch wine but not one for everyone. During the event, while discussing the price, I think I aptly used Saxum as a reference point. After so much time in oak, the wine was a bit slow to fully unwind and was in a constant state of change. If you have a bottle or buy some, I would strongly encourage following the winery’s recommendation of serving between 60 and 65 degrees and give it at least an hour of air. Personally, I wouldn’t recommend stashing it in your cellar, open your bottle over the upcoming holiday season and enjoy.